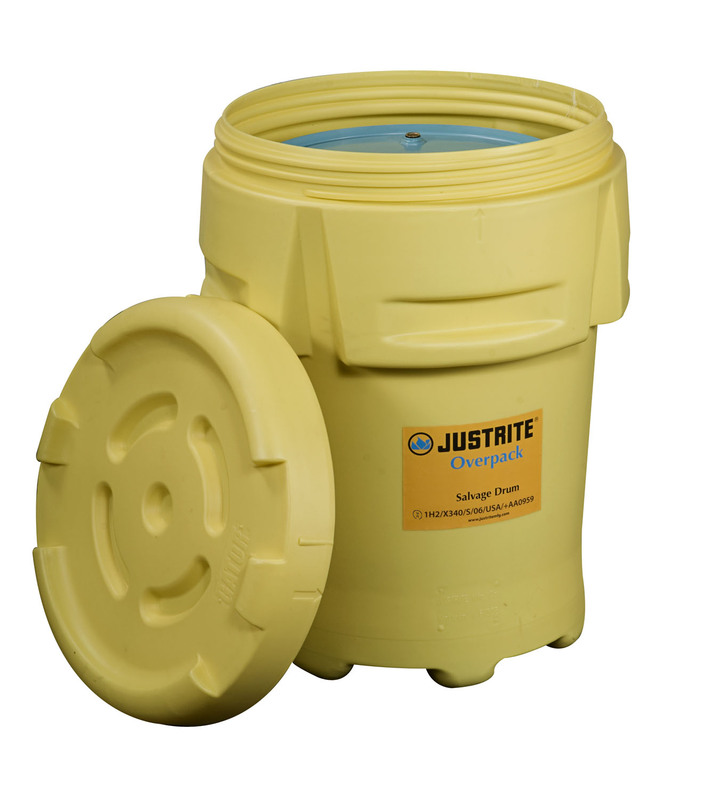 Use this drum for overpacking of damaged containers for handling or emergency response. It is certified for UN transport of hazmat. It features a secure twist on threaded lid and sturdy forklift shoulders. • Containment, temporary storage and transportation of damaged drums and containers. 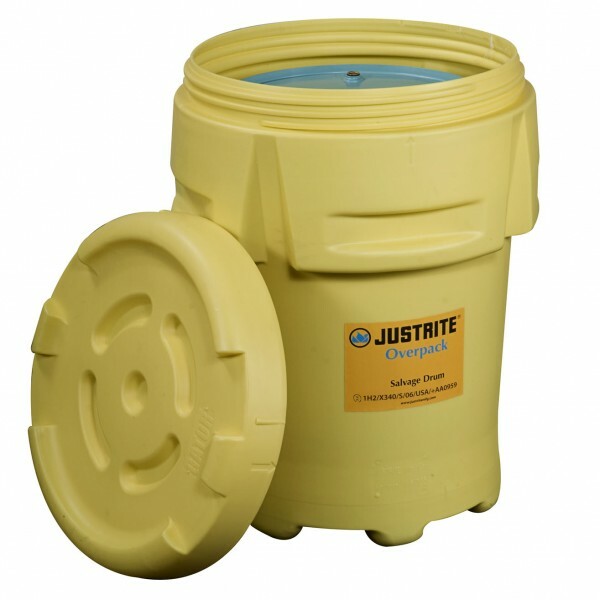 • For damaged drums that do not require transportation a portable bund or spill pallet will be suitable.